Sci-fi legend Orson Scott Card's Hugo and Nebula Award-winning classic is brought to vivid life! Andrew "Ender" Wiggin is 6-years-old. His peers bully him, his parents are aloof, and his older brother is violently resentful of him. He might also be humanity's only hope. 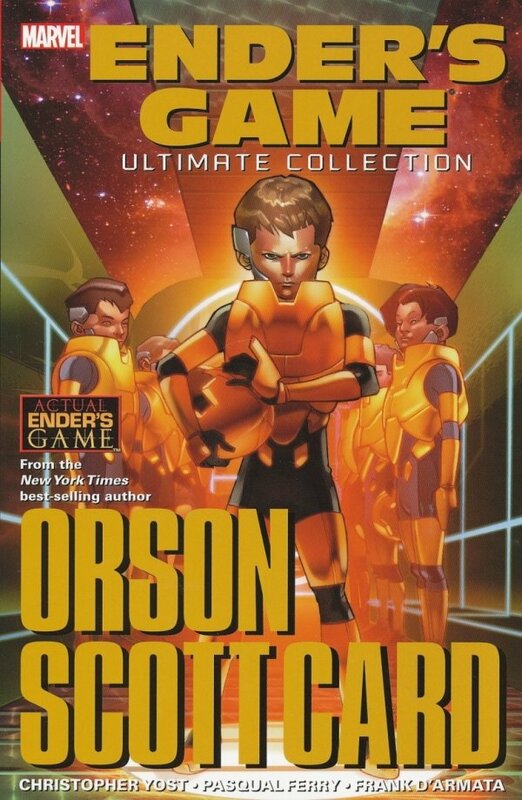 Ender is recruited into the International Fleet's legion of child warriors, training to become a commander in Earth's defenses. His promise is high, and his teachers are sure he will rise to the test - that is, if battle school doesn't kill him first. Ender struggles to find a place in his soul for tranquility, humanity and a connection with something greater than the brutal mechanics of war and strategy. 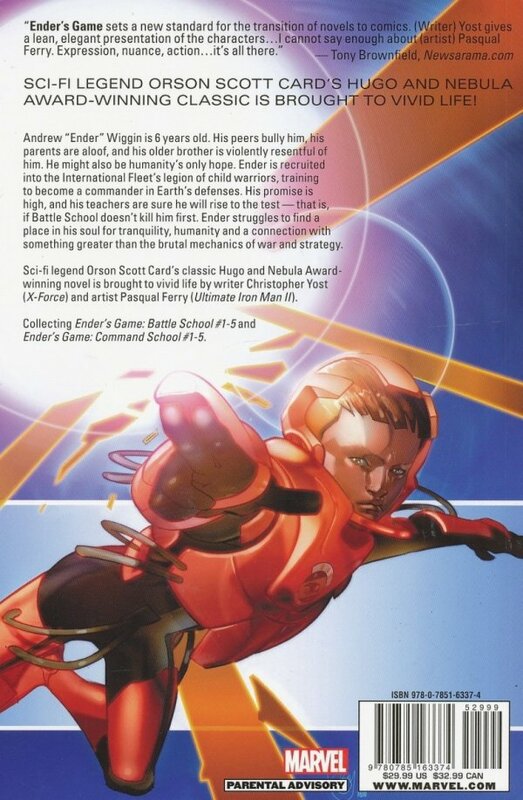 Collecting ENDER'S GAME: BATTLE SCHOOL #1-5 and ENDER'S GAME: COMMAND SCHOOL #1-5.